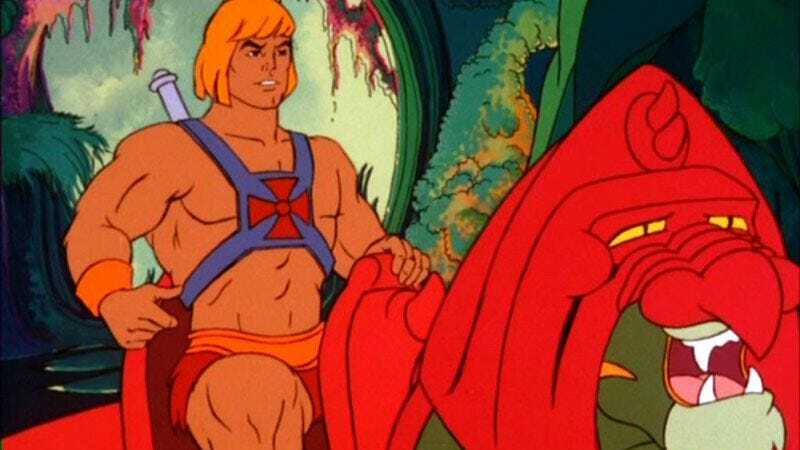 Despite Columbia toying with its Masters Of The Universe for over six years now, after which one hoped Columbia might begin to develop an interest in girls, the studio instead remains thoroughly attached to its He-Man movie. However, onetime director Jon M. Chu no longer wants to play, preferring his next G.I. Joe movie and even possibly the third Star Trek film—big-boy franchises that have guns and spaceships, not swords like babies like. So the studio will just find someone else who likes He-Man, beginning with hiring Terry Rossio to make up a whole new story for its Mattel dolls with Blasting Reboot Action. The way cooler Rossio knows swords are cool, having worked on both of Antonio Banderas’ Zorro films and all of the Pirates Of The Caribbean movies. And, from his experience on The Lone Ranger, he also likes working on beleaguered would-be franchises pushed through development hell out of sheer determination to take advantage of a faded nostalgia property, just like all the kids who aren’t chicken. Details remain sketchy beyond the basics of it taking place on Eternia (as opposed to the 1987 Dolph Lundgren version that caused this in the first place), that it will concern the battle for Grayskull between He-Man and Skeletor, and most importantly, that it will contain enough characters to generate as much tie-in merchandising as possible. But with Rossio around, Columbia can be assured it has a playmate who likes his playtime to have plenty of supernatural elements, and that he’s not going to get cranky if that playtime runs well over two and a half hours. "Coooool, Battle Cat! This is cooler than dumb old horses!" Rossio likely said in his first meeting with the studio, and they knew they would be fast friends.